SYSGO is pleased to announce the appointment of Eric Diaz as the new Sales Director, responsible for the South EMEA & America territory. Supporting actively the company’s expansion in this region of growing importance, he is in charge of developing SYSGO’s sales strategy for safety and security domains with strategic key accounts as well as channels for that region. “Following three years in managing with success a major account at SYSGO I am really excited looking for this new challenge which will give a great SYSGO exposure at the International”, declares Eric Diaz. "Eric is a senior sales and business development expert with more than 25 years’ international experience in the high technology field with a proven ability to create and drive new business and establish reliable and profitable relationship. We are really happy to welcome Eric on this new assignment to leverage SYSGO’s growth and increase our market share seriously by his professionalism and experience“, summarizes Norbert Kuhrt, Vice President Sales of SYSGO. 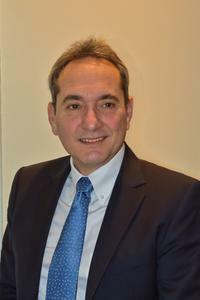 With a combined computer & science Engineering degree from ESIEE and Executive Business Management degree from ESSEC, Eric worked several years within leading High Technologies companies like Motorola, Synopsys, Texas Instruments, Radisys and Esterel Technologies managing operations and major accounts at the International. Since 1991, SYSGO provides operating systems and services for embedded systems. In the late 90's, SYSGO pioneered the use of Linux in the embedded market with the ELinOS distribution. 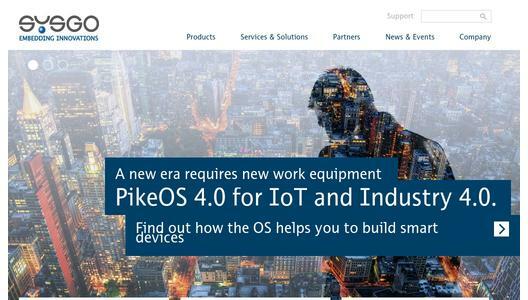 For safety and security critical devices, SYSGO offers PikeOS, the world's first SIL 4 certified hypervisor for multi-core processors, which builds the foundation for smart devices in the Internet-of-Things. With their product portfolio, SYSGO is the leading non-US RTOS-supplier with customers like Samsung, Airbus, Thales, Continental and many more. Markets include Aerospace & Defense, Industrial Automation, Automotive, Railway, Medical and Network Infrastructure. 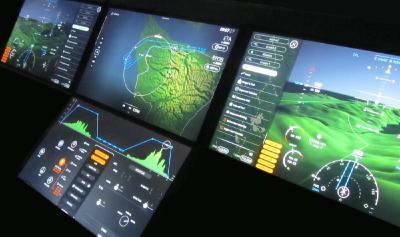 SYSGO is part of the Thales Group and has facilities in Germany, France, Czech Republic, UK and North America. It maintains a global distribution network and supports its customers in formal certification according to international safety and security standards.